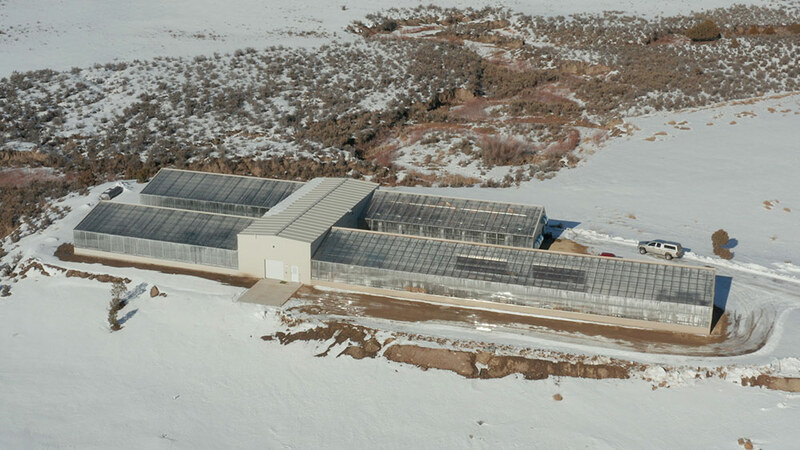 From Alaska to Saudi Arabia, Ceres has helped growers create sustainable, energy-efficient commercial greenhouses in a wide range of climates. 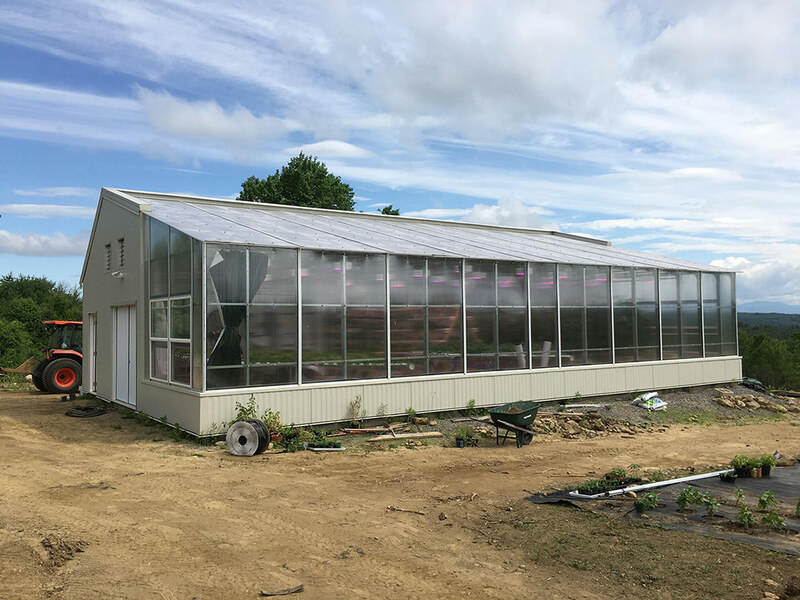 While you can’t choose your climate, many commercial greenhouse growers have options when it comes to siting their greenhouse. 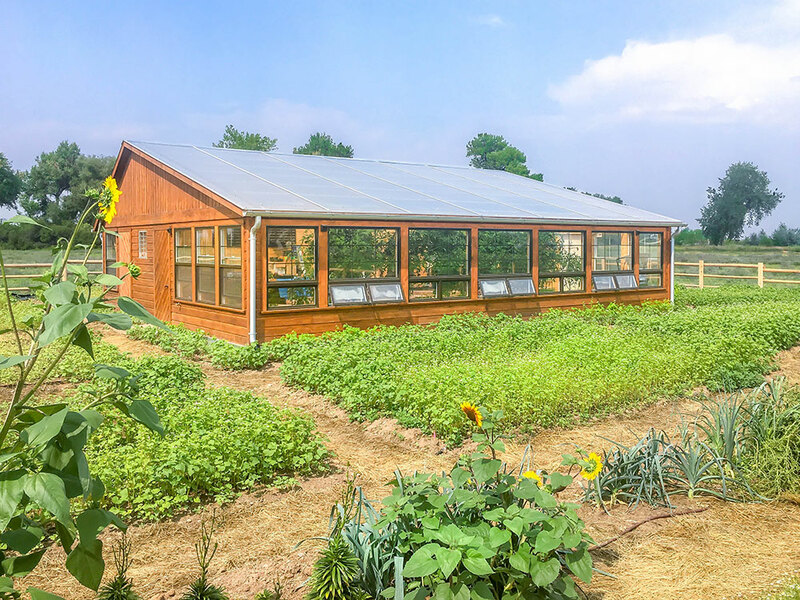 Several factors go into a good greenhouse site: light levels, zoning, wind, and access to water and electricity. The following tips provide a guide to choosing a commercial greenhouse site. 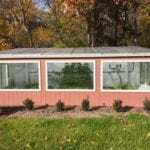 For personalized advice or an energy analysis of your greenhouse, please see our consulting services. We are here to help you along the way. Full light access is probably the most significant siting factor, particularly if growing year-round in an energy-efficient greenhouse. 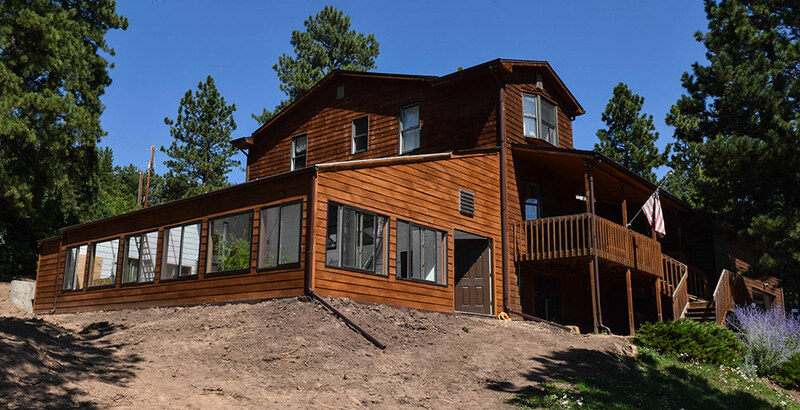 If located in climates with moderate to harsh winters, light access is essential for sufficient growth and passive solar heating. If the site is shaded in the winter, it can result in lost production. 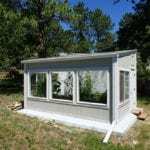 In contrast, in the summer some shading is usually inconsequential and even benefits the greenhouse by reducing summer heat gain, preventing overheating. Deciduous trees can be helpful in this regard. 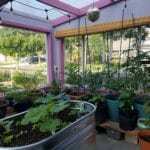 They can shade part of the greenhouse in the summer and then drop their leaves in the winter, leaving the greenhouse fully lit during the critical light months. Many growers simply turn to shade cloth and cooling strategies to help keep the greenhouse cool in the summer. There are several ways to evaluate light levels at your site. Maps and weather sites like NREL can give you an ideal of total light levels in your region. From there you can get more site specific, evaluating anything that can shade the greenhouse (called obstructions) such as buildings or nearby trees. If there are nearby obstructions, we recommend predicting their effect on the greenhouse. Several methods can do this such as using trigonometry and a sketch of surrounding objects. A tool called a Solar Pathfinder is another possibility, as is having a greenhouse designer or engineer model your site and predict shadows – one of the many greenhouse consulting services we offer at Ceres (More detail on ways to evaluate light and shadows is in our book, The Year-Round Solar Greenhouse). Light meters are another option, but usually challenging to give a full picture of light levels throughout the year. With a light meter you are directly measuring real-time light levels. They all only measure light intensity, or light levels at a single point in time. That requires a data logger or taking several readings to get a full picture of light at your site, since daily shifts in light can be huge. These devices range from cheap and simple, to advanced and very expensive. Zoning regulations are an obvious factor in choosing a site. 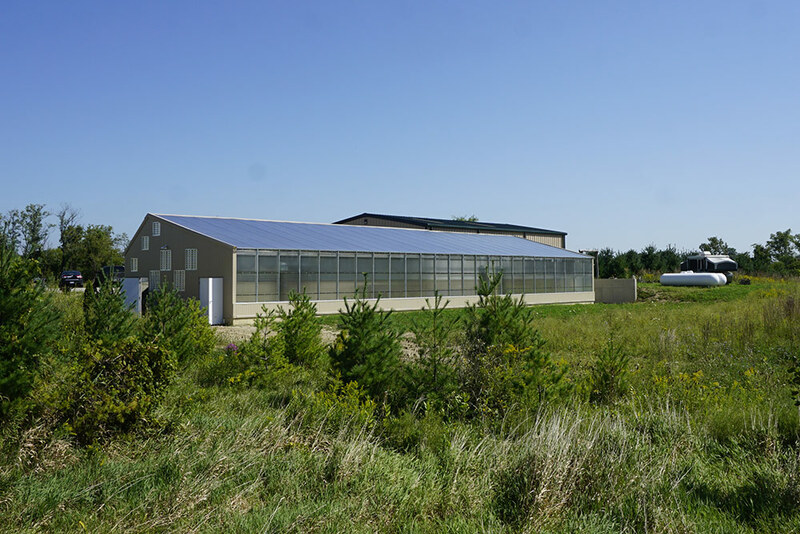 Typically, a commercial greenhouse site must be zoned as agricultural land. In urban areas, there may be some added flexibility for zones, as many cities are amending laws to encourage small-scale urban farms. 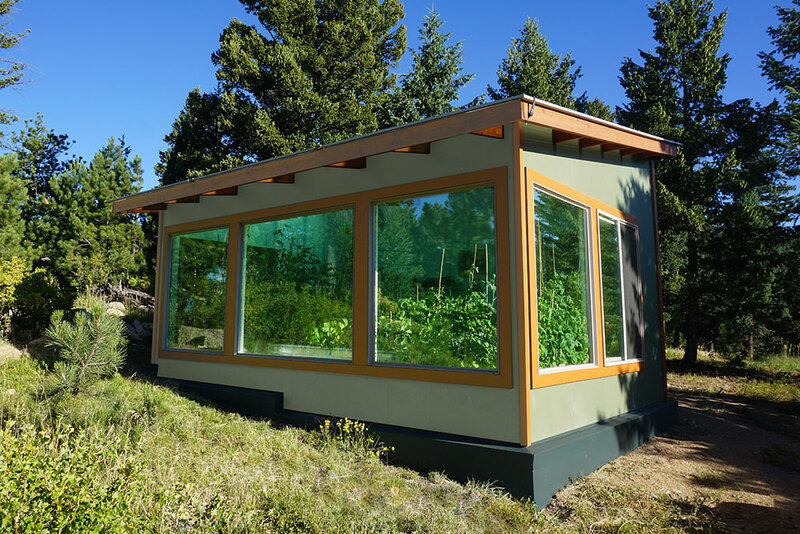 (The Sustainable Cities Institute has a good list of urban farming amendments many of which apply to commercial greenhouses as well as outdoor urban farms and gardens.) Urban sites often come with added regulation, though, when it comes to the planning and design of the project. 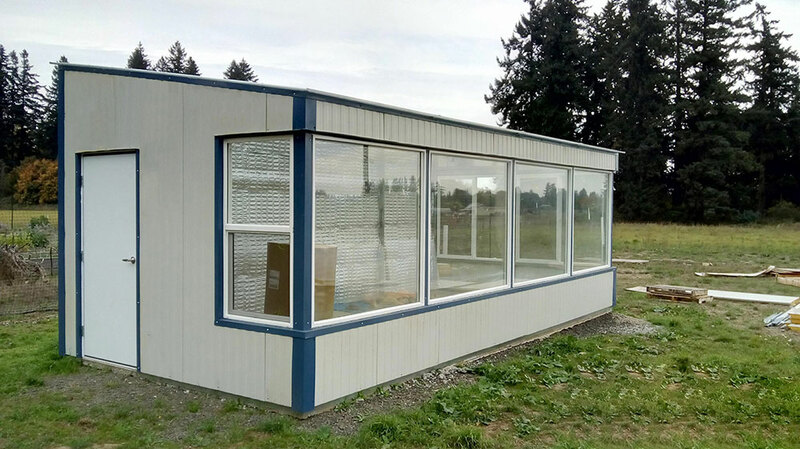 After you identify that a site will allow a commercial greenhouse, we recommend speaking directly with key stakeholders when applying for a building permit. Like any business transaction, a solid personal relationship goes a long way. Talking to regulators– whether zoning commissioners or a land use department – can help identify their key concerns and how to answer their questions. Keep in mind that many key stakeholders – permit officials for example – may be unfamiliar with commercial greenhouses. 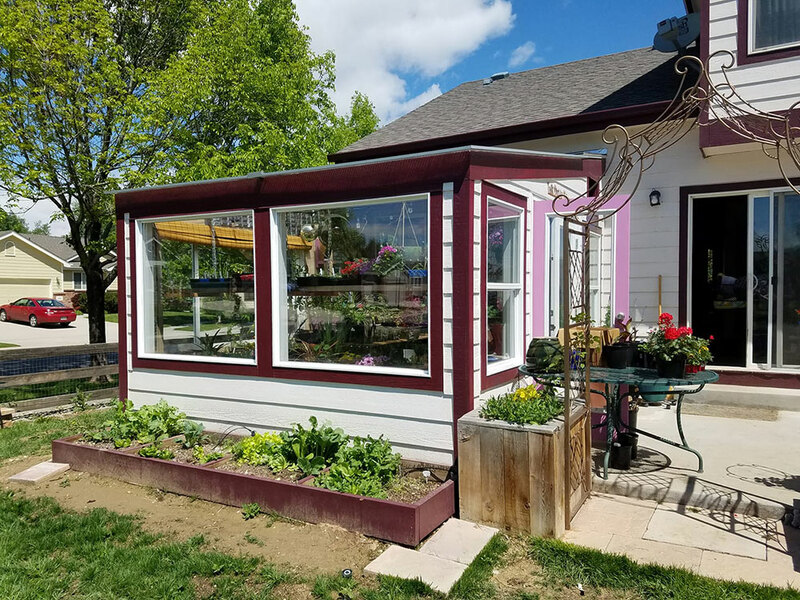 At Ceres, we commonly see initial concerns energy usage, durability, and flammability of materials… all of which can be assuaged with some education on how a greenhouse is built. 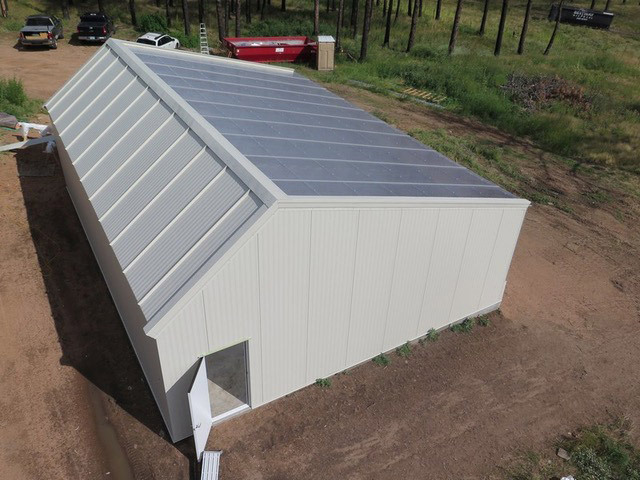 For example, commissioners are often surprised to know that commercial greenhouses can be as energy-efficient as a conventional warehouse if properly designed. Addressing these concerns early on helps streamline the permitting process. 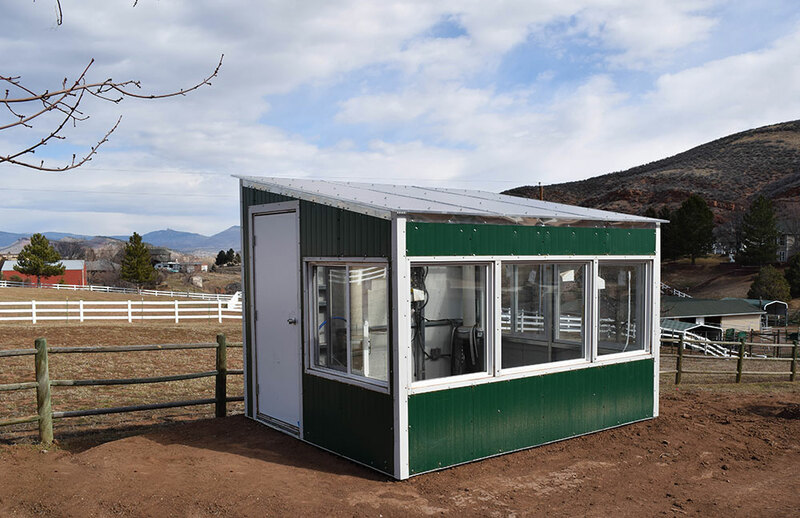 Both are essential to energy-efficient commercial greenhouses, or any commercial structure for that matter. We recommend speaking directly to your local utility about electric hook-up when evaluating a site. Most commercial greenhouse sites have electricity at the site. 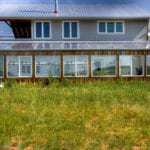 If they do not, the options are to add a grid connection or to integrate solar panels to create an off-grid greenhouse. This can be an expensive recourse if the utility is not willing to pay for it. It involves bringing out electric lines to the site. If it is not possible, or expensive, to get a grid-connection, this is a scenario when adding solar panels for an off-grid source of power is an attractive option. Even if grid-power is accessible, many growers add solar panels for other reasons. 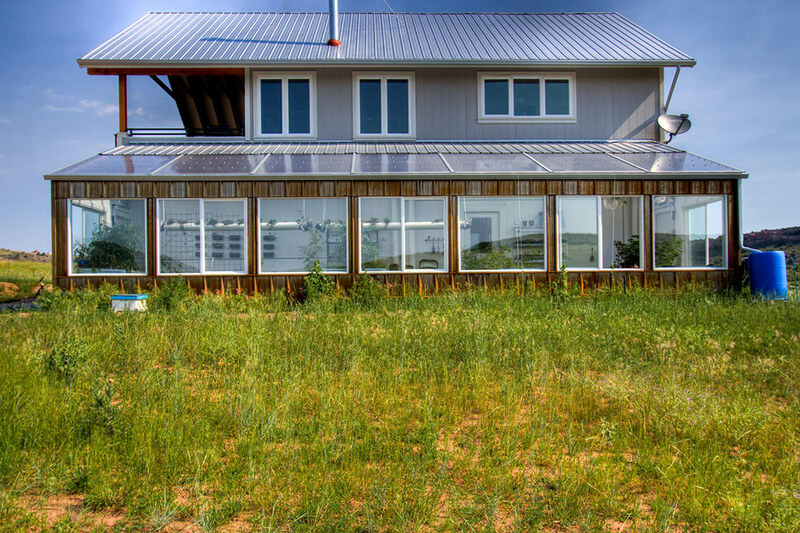 Combined with passive solar greenhouse design, solar panels can create a net-zero energy commercial greenhouse that reduces operational costs and creates a green image for the business. It’s important to realize, though, that they also dramatically influence the budget (though financing is possible). 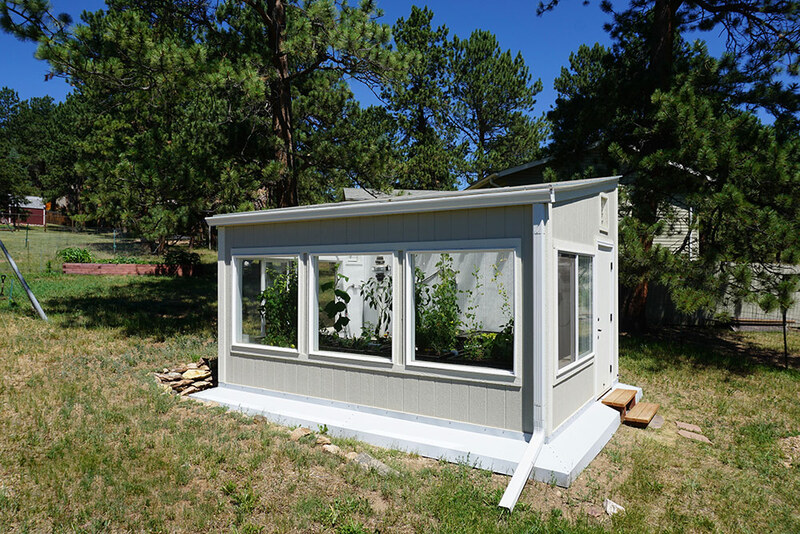 More on strategies for creating an off-grid greenhouse. 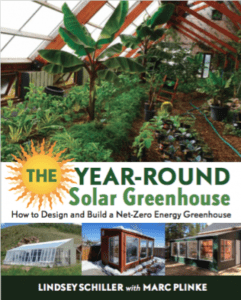 The Year-Round Solar Greenhouse includes a section on sizing a solar PV system for a net-zero energy greenhouse. How close are you to your customers, retail outlets or distributors? This is often less of a crucial factor for many large-scale operations. It does come into consideration for smaller commercial growers who may be selling direct to the end user (e.g. farmers markets or CSAs) or to a few retailers / restaurants. 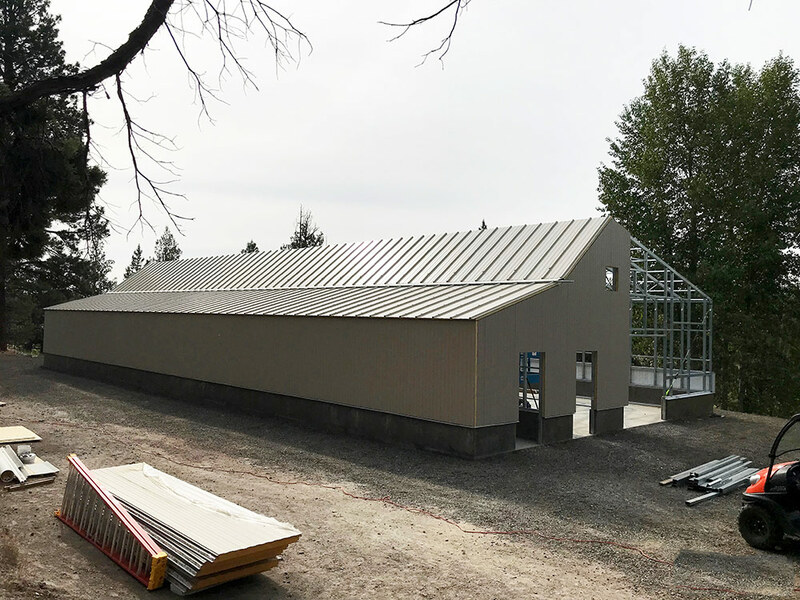 For example, a client recently approached us about building a large-scale commercial cannabis greenhouse in Washington. Due to regulations on the crop, they could only sell directly to retailers, requiring a complicated delivery chain. Their choices were to locate a greenhouse in a more urban area, closer to retailers, or locate the cannabis greenhouse further away. While the urban site was a more expensive build out, the savings from avoided transportation justified the additional upfront cost. For most commercial greenhouses, distribution is not a make or break factor in a site, but should be anticipated when planning the business. How much this plays into your siting decision a factor depends on your marketing and distribution strategy, which varies by operation. 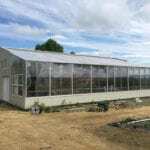 An ideal greenhouse site is protected from strong winds. Winds increase wear and tear on the structure, adding maintenance or possibly reducing its lifetime. Vents are particularly susceptible to the ‘sail effect’ — being torn off in strong gusts. Winds also increase the structural loads on the greenhouse frame, mandating stronger roof framing. This in turn can add to cost if wind loads are significant. 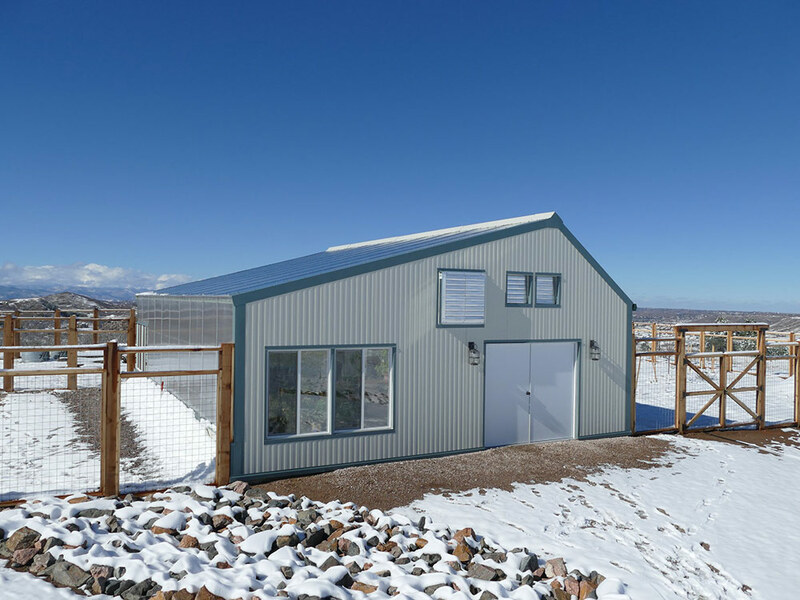 For example, Ceres designed and built a commercial cannabis greenhouse in Leadville, Colorado – a site with 120 mph gusts. The structure required steel I-beams rated for the high wind loads. A super energy-efficient greenhouse in the end, the wind loads were a major factor in the commercial greenhouse design and engineering. 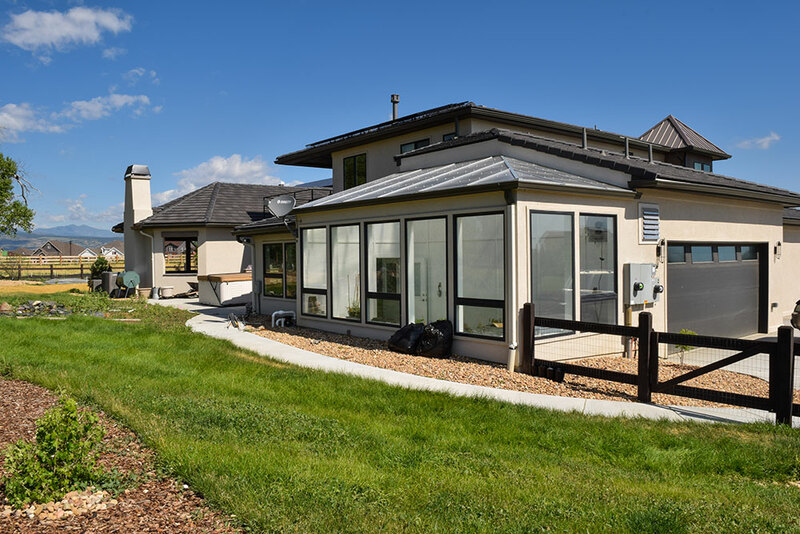 A final deterrent is that winds ultimately increase the rate of heat loss through a year-round greenhouse. They both add to air infiltration (cold air blowing into the structure) and create pressure differentials around the building. 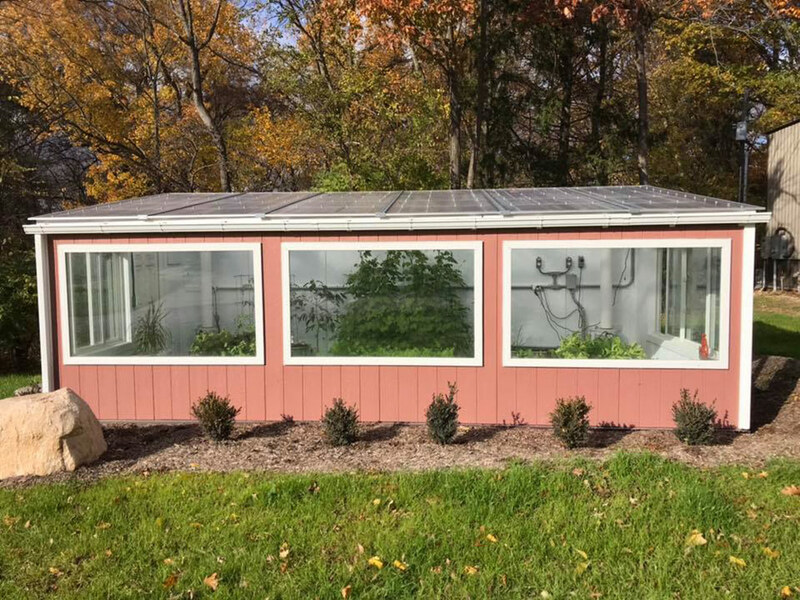 Differences in pressure in turn increase air movement, making the a year-round greenhouse less energy-efficient in the winter. Often, winds are simply a fact of life for a commercial greenhouse site. If unavoidable, you can protect a greenhouse from winds by creating a natural wind berm (trees or shrubs) on the windward side of the greenhouse.